It’s always nice to play a game you’ve heard nothing but good things about to find out that the hype was justified. Yes, The Stanley Parable is every bit as brilliant as everyone has said. It’s very much an “inside baseball” experience, though. This is the kind of game that’s made for game designers, for people so familiar with the tropes of games and game narrative that they can see through it in other games. The wonderful thing about The Stanley Parable is that it makes you feel as if the designer if getting increasingly agitated by your decisions, and forced to improv as you stray away from his carefully-laid story. Anyone who’s ever DM-ed an RPG knows that the players are the worst part of it. You can spend days or even weeks crafting some elaborate story, include every sort of indication that THIS LOCATION is where players should go post-haste in order for stuff to happen, and you’ll always come across that one person that wants to break the game. Someone will want to do some inane thing just to see what happens, and leave the poor DM scrambling to quickly concoct a story in a location they never expected the players to ever venture, all in order to make sure everyone has a fun experience. It’s hard not to be upset that all that hard work is getting wasted. The Stanley Parable is exactly this. 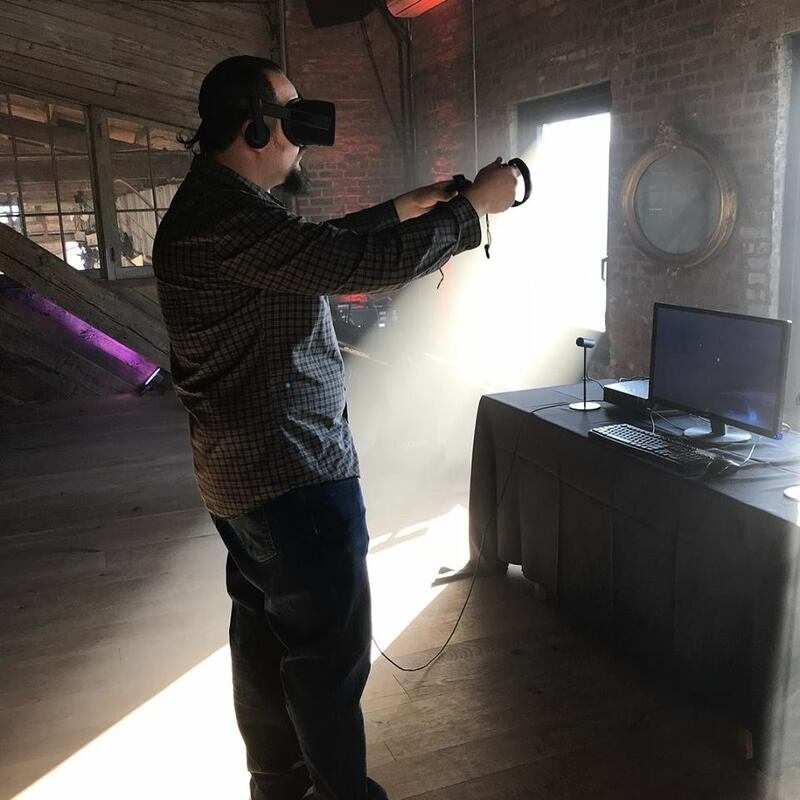 You play as Stanley, a drone in an office who stands up from his desk at work to find the place empty. The narrator (the incredible Kevan Brighting) tells Stanley what he’s currently feeling as you travel the abandoned corridors, until you come to a room with two doors. “Stanley takes the door on the left,” the narrator states, and here is where the game becomes all about player choice. Do you go along with the story? This isn’t a Portal situation, although there are more than a couple of incredible references to the game. You can choose to go along with every single thing the narrator states for your experience and beat the game in five minutes. But what will you feel? Accomplished for following the instructions and exploring someone else’s story? Instead you can choose to ignore his wishes and stray from the path, leaving the narrator to get increasingly upset and frustrated, eventually leading him to try and force you down another route. There are a dozen “endings” to the game and it frequently restarts as both he and you try to figure out an experience that makes everyone happy. Of course, the other paths are scripted as well, so idea of player choice is a lie. Or is it? Can’t state how much I love this game, and I’m mad at myself for not diving in earlier. It’ll take you no more than a few hours with it to get nearly everything you need from it, too, meaning that it’s not that much of a time commitment. But you will want to explore this- there are so many secrets to find and homages to other games, and I found myself playing through most of it with a big dumb grin of my face as I realized what it was doing. Make sure to check the achievements list if you do, as you’ll find one that leads to a quest that’s an amazing statement on the nature of achievements themselves, as well as another that’s actually impossible to achieve. A gift for OCD gamers, for sure. 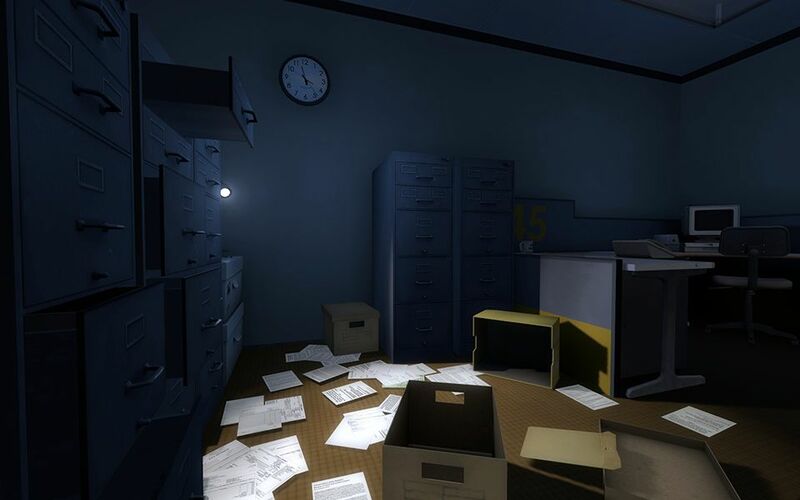 If you’ve never played it, The Stanley Parable also has a free demo to download, a completely stand-alone experience that sees you exploring The Stanley Parable Demo Construction Facility. It’s a hilarious riff on game demos themselves, and you should grab it immediately if you’ve never tried it out. Next up on The Backlog: Danganronpa 2: Goodbye Despair, the ultra-weird series that plays like a mashup of Phoenix Wright and Battle Royale. I’ll be returning to it after a frozen game made me throw it aside in frustration last year, never to complete it. Til then!